Do you ask corporations for donations? Do they give you a tiny amount of what they’re able to give? Want to hear about something even more egregious? Recently the NPQuarterly wrote about how Walmart is “offended” by people’s response to their “charity drive” to give their own employees food. “As more lives and communities are destroyed by the system that creates vast amounts of wealth for the few, the more heroic it sounds to “give back.” It’s what I would call “conscience laundering” — feeling better about accumulating more than any one person could possibly need to live on by sprinkling a little around as an act of charity. What’s the ROI of ending human suffering? How many dollars can we squeeze out of a teardrop? What can we do with some of our leftover marketing budget money? The corporations like Walmart are part of the problem, but you could probably do a food drive for some people who work at your nonprofit too. 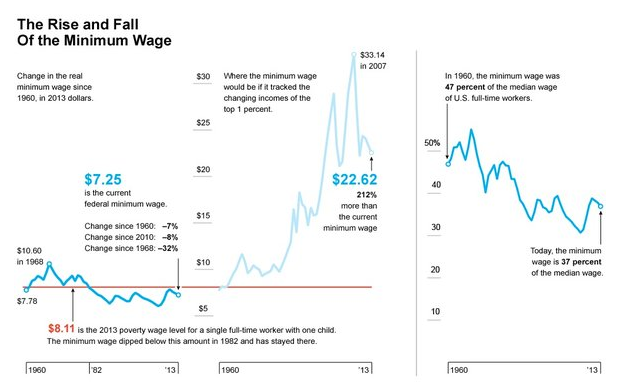 According to TruthDig, our minimum wage should be $22.62. Are most people at your nonprofit making $22.62 an hour? No? Then I’m sorry, but your nonprofit is part of the problem. Which nonprofits are doing this? The nonprofits that ask us to work for $15 an hour, yet have a master’s degree and do 3 people’s jobs. The nonprofits that have paid $10/hour to most workers for the last decade, and show no signs of raising people’s wages, ever. The nonprofits that try to help the world, but in doing so, help keep their workers in poverty. 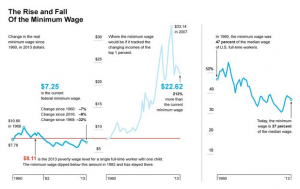 When I was working at a social justice nonprofit, most people there made $14 per hour or less. And this was in 2009. I was making $20 per hour. The CEO was making $120,000 a year. And he got after people for not dressing corporate enough. But I digress. What can we do about inequality now? We can certainly petition Walmart and Target to pay their workers better, and in the meantime, shop somewhere else. Even if your charity doesn’t directly work with the problem of inequality, charity does begin at home. Or, in this case, it begins with people who work for your nonprofit. If your nonprofit truly wants to improve the world, it needs to start at home. Pay your workers more. And give them more time off, more vacation, more training budgets.